One can never have too many of the wonderful Taxi with Driver, Jonathan! Continuously upgrading them I sold the still very nice one below at Houten last week. 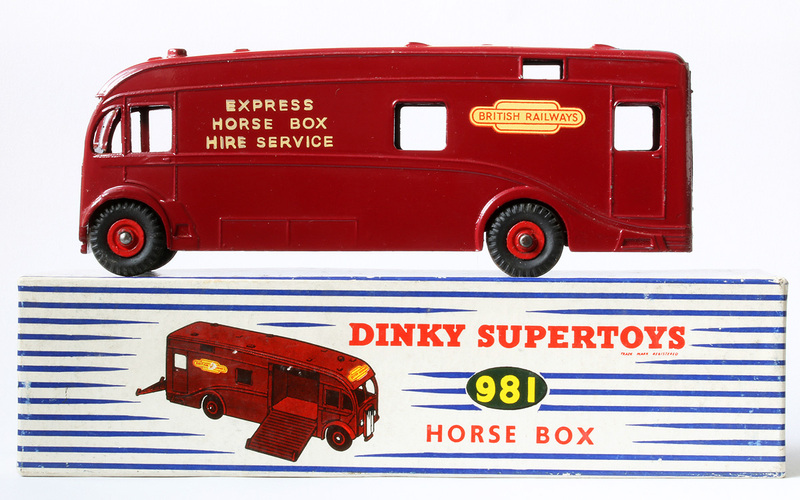 Talking horse boxes, the other day I found a lovely replacement at last for a Dinky Horse Box which I sold three years ago already. This one is really nice, bright and almost without chipping: as new. 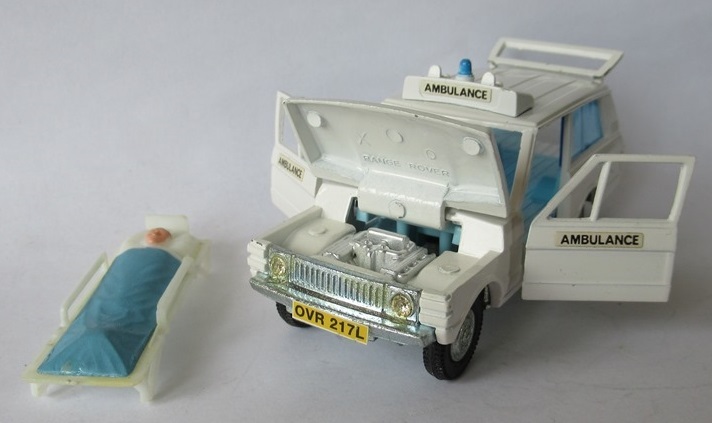 Lasrt week I got my first Range Rover ambulance. Note that the stickers on the doors are black (usually they are red) as the one on the roof. The steering-wheel is metallic grey. Congraulations for discovering the pack of six french crates. 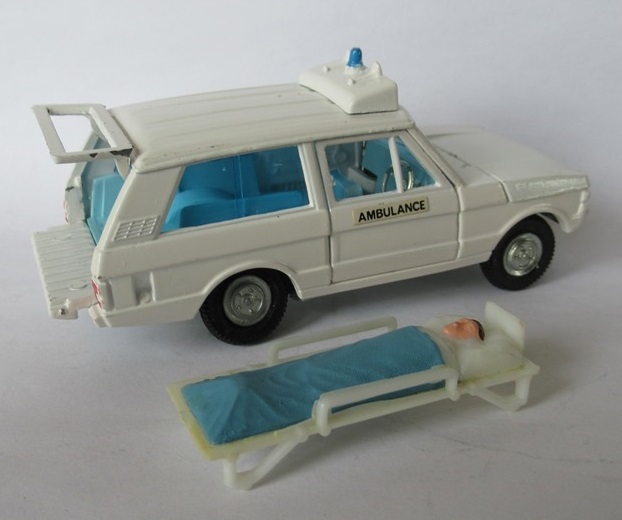 I have now recorded it in the Dinky Toys Encyclopaedia but could you please be kind enough to provide a good picture of this rare pack. 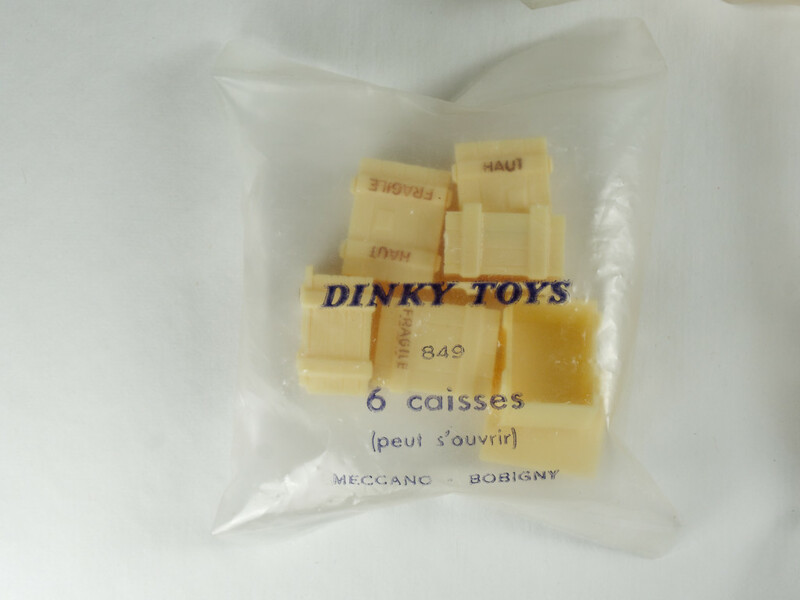 Jacques -- it is sweet that we keep discovering things about Dinky Toys. I noticed that the pack of six crates was not recorded in the Encyclopaedia, only the pack of ten. That surprised me because as far as I knew, the pack of six is the common version and the pack of ten is the rare one! I wonder when they changed the number of crates. Or is it possible that the pack of six was for export, and the pack of ten for France? Here are some more pictures of my packs of six. When these accessories were sold in Britain, they were in packets of six, except for number 851 which had eight items - two each of 846 oil drums, 847 barrels, 849 packing cases and 850 bottle crates. Note that 848 luggage trunks wwere not sold in Britain, neither were 844 and 845, barriers and oil pipes (for the Unic Saharien).